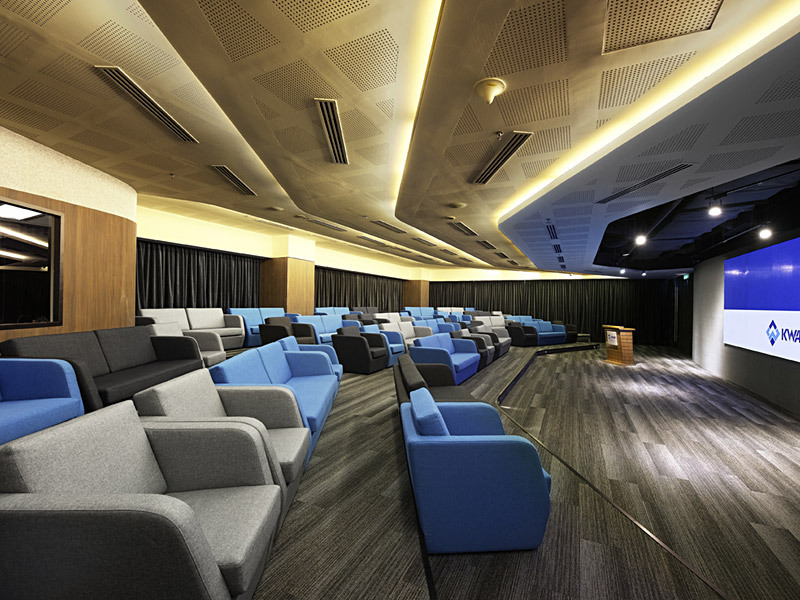 When KWAP (the second-largest pension fund in the country) called their tender, all of KL was abuzz about what would be the workplace project of the year and after a highly selective process and six weeks of interviews, clarifications, to-ing and fro-ing, KWAP made the decision to appoint SL&A KL for their new HQ. The outcome, KWAP’s new corporate home, is a design to help propel their organization to new levels of excellence and professionalism. As a point of departure, SL&A landed on the concept of “the Office As Village” and worked the theme into the overall look and feel”. Thematic motifs were developed based on traditional Malaysian cultural games and pastimes; these elements Sepak Takraw (Malaysian volleyball), Gasing ( top spinning) and Congkak, appearing as murals and feature panelling. In addition, Malaysia’s musical instruments were applied into the breakout areas, as bas relief, decal window film and light features. Flexibility was made a key element of the space planning, making change is easy to accommodate without disruption. To create community, workplaces are divided into neighbourhoods (discreet groupings) and provide anchors so employees do not feel lost in a sea of desks and can develop a sense of community. The resulting environment has been extremely well received by the staff and visitors; embraced as a keystone in their further growth. 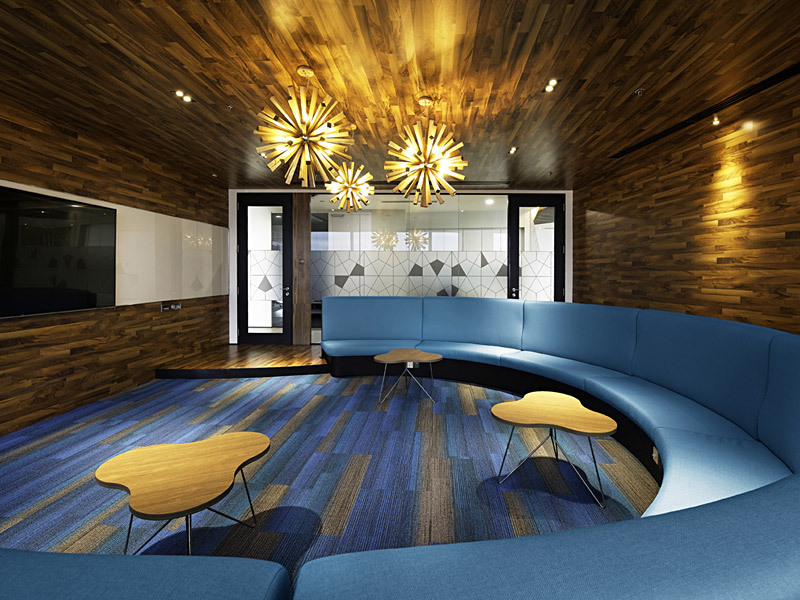 Fresh, dynamic, fun but restrained the office allows all 3 types of interaction (focus, collaboration, and communal) to occur effortlessly and that promote and nurtures a culture of transparency and interaction.